Join us at 33 Hawley for ban evening featuring local Valley poets Chris Gonzalez, Barry Maupin and Ashley Amon. 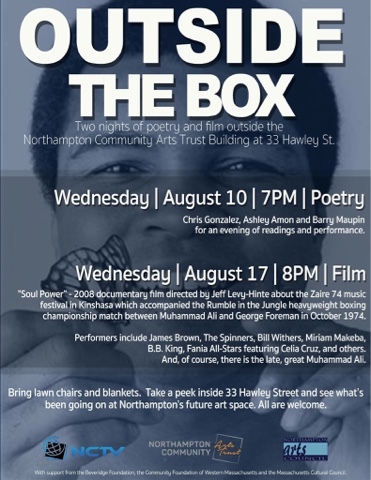 Chris is a 23 year-old actor, theater maker, musician, poet, and educator raised in Northampton; Barry is a spoken word poet and the author of two poetry collections; and Ashley is a young Mt. Holyoke poet who has been featured in the Massachusetts Poetry Festival.